A woman in Pasco crashed into a fence this week after driving drunk- with her daughter in the car. The woman ad stopped at a gas station before, where a Good Samaritan tried to stop her by taking her keys away from her, as he could tell she was too intoxicated to drive. However, she grabbed the keys back and proceeded to try and run him over. Once taken to the Pasco County Jail, she blew a .204 average of two breathalyzer tests. While no one was seriously injured, things could have been much worse. If you suspect a drunk driver, call 911. The Florida legislature recently passed a bill that has certain requirements for Uber and Lyft drivers when it comes to insurance. More specifically, the bill requires ride-sharing companies to have their drivers carry $100,000 of insurance for bodily liability or death and $25,000 for property damage when a driver is logged into the app, but doesn’t have a passenger. When a driver gets a rider, that coverage minimum goes up to $1 million. It also requires ride-sharing companies to have third parties run criminal background checks on drivers, and preempts local ordinances or other rules on these companies. You can read the exact bill for yourself here. 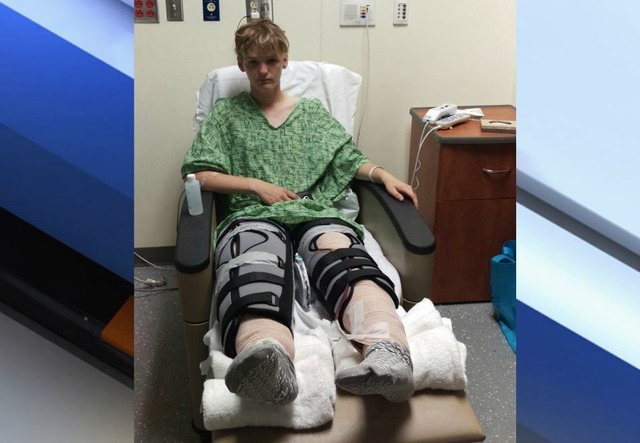 Austyn Cochuyt had his legs severely injured when he was hit buy a car on US 301. His friends and him were walking along the shoulder when a car drove past them, turned around, drove towards them and hit Cochuyt before taking off. Accidents like these should not happen; a family in turmoil should not be the outcome. Traffic fatalities are rising. It’s a fact that cannot be denied. The question is, what can we do to make roads safer for drivers? AAA has produced a list of highway infrastructure changes that could save 63,700 lives and avoid over 350,000 injuries over 20 years. Click here to read the list and see the infrastructure changes needed. It’s no secret that there has been an abundance of wildfires in the area lately. We want you yo be ready if one strikes in your area. Click here to read all the things you should have and do to prepare for a wildfire.